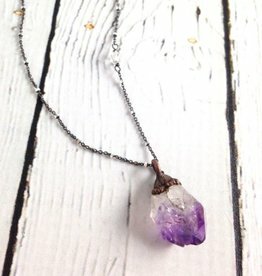 Amethyst is one of our most popular stones and is the traditional birthstone for February. It is a talisman of focus and success, helping in the assimilation of new ideas, putting thought into action, and bringing projects to fruition. 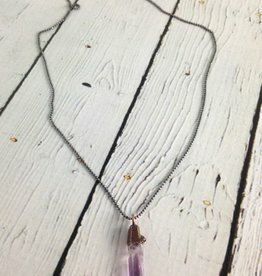 Amethyst stimulates the Third Eye, Crown and Etheric Chakras, initiating wisdom and greater understanding and enhancing creativity and passion. 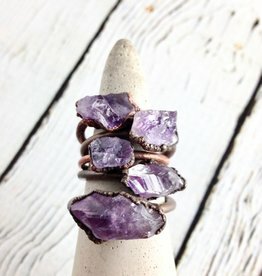 Not surprisingly, Amethyst has long been the favored stone of the founder of Silver in the City. 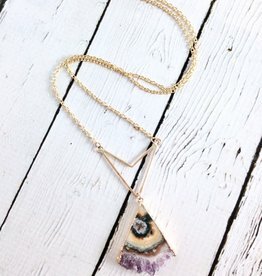 Such a dreamy bohemian piece! Pendant measures approximately 3” long. 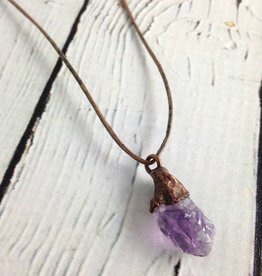 Amethyst piece is 1.5” x 1.25”. Moon measures .45” x .3”. 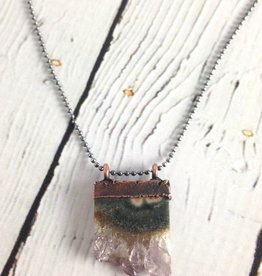 Amethyst measures .5” x .25”. 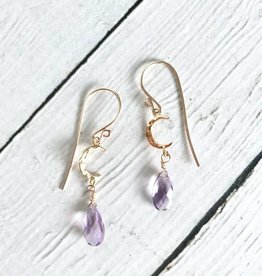 Handmade by Rana Salame Striedinger in Indianapolis, Indiana. 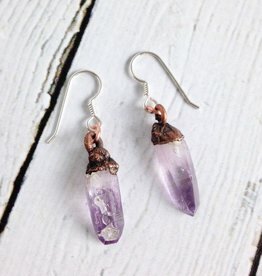 Electroformed Vera Cruz Amethyst Crystal and Copper Earrings by Hawkhouse Jewelry. Earrings measure approximately 1.75” long.